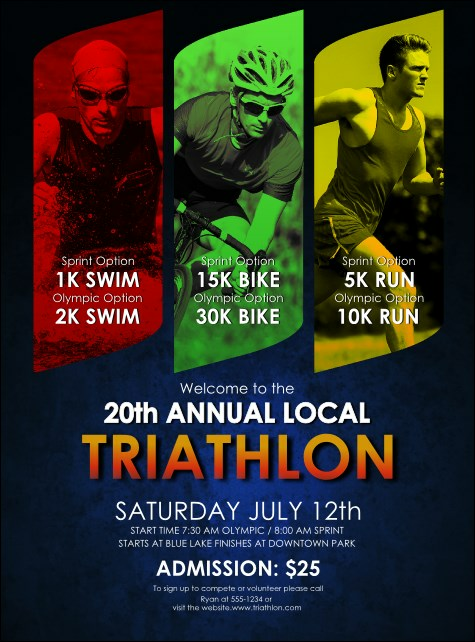 Support your fellow athletes when you post the Triathlon Flyer before your big race. This colorful design features three images of competitors swimming, biking, and running for the finish line. All your race details fit on this template, with 22 lines of text. Find coordinating promo materials in a Matching Event Kit!